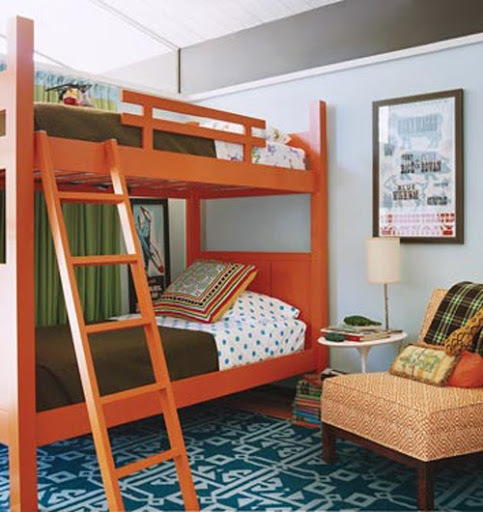 I’m in love with this older kid’s room from Domino (I found it over at Little Green Notebook). The only thing that really makes it a “kid’s room” are the bunk beds. The colors and styling are something I would love in my grown-up’s room! Give me that rug!